Satellite Dish Commercial LNB - PLL (phase locked loop) is the amount of frequency drift that the LNB has. First of all to even qualify to be called a PLL (Phased Lock Looped) LNB-Wikipedia it must have a Stability factor of +plus or -minus 100Khz (+-100Khz ) or lower. It's not only the degrees kelvin (Noise Temp. 15k,20k ect..) Where the known rule is the lower the degree noise k temp the better. PLL LNBs have a noise temp factor of 20k or 25k but they still blow the crap out of any inexpensive backyard 17k or 15k LNB. It is because a backyard 15k LNB has a stability factor of +-1000Khz. So try not to pay much attention to the lower the noise "K" temp the better. It's good and sometimes true but also more important is the LNB's stability factor. +-Khz. The lower the stability factor the better and probably the more expensive. The LO (Local Oscillator) stability-Wikipedia LNB: (Low Noise Block Down converter) An LNA and block down converter enclosed in a single housing. The output of an LNB is an IF signal at L-Band [nominally 950 to 1450 MHz]. Description: The Norsat 3220 C-Band PLL LNB is one of Norsat's many premium quality C-Band LNBs. It is a preferred LNB for many C-Band applications. Description: The The Norsat 3120 C-Band PLL LNB is Norsat's premium quality C-Band LNB. The preferred LNB for all C-Band applications. Description: The 3000 Series is Norsat's premium quality C-Band LNB. The preferred LNB for all C-Band applications. Description: Norsat 3115 High Stability PLL LNB. The 3000 Series is Norsat's premium quality C-Band LNB. The preferred LNB for all C-Band applications. Description: Norsat 3225 C-Band PLL LNB. The 3000 Series is Norsat's premium quality C-Band LNB. The preferred LNB for all C-Band applications. Description: Norsat 3125 C-Band PLL LNB. The 3000 Series is Norsat's premium quality C-Band LNB. The preferred LNB for all C-Band applications. Description: Norsat 3220 C-Band PLL LNB. The 3000 Series is Norsat's premium quality C-Band LNB. The preferred LNB for all C-Band applications. Description: Norsat 3130 C-Band PLL LNB. The 3000 Series is Norsat's premium quality C-Band LNB. The preferred LNB for all C-Band applications. Description: Norsat 3420 C-Band PLL LNB. The 3000 Series is Norsat's premium quality C-Band LNB. The preferred LNB for all C-Band applications. Description: Norsat 3425 C-Band PLL LNB. The 3000 Series is Norsat's premium quality C-Band LNB. The preferred LNB for all C-Band applications. Description: Norsat 3430 C-Band PLL LNB. The 3000 Series is Norsat's premium quality C-Band LNB. The preferred LNB for all C-Band applications. Description: Norsat 3520 C-Band PLL LNB. The 3000 Series is Norsat's premium quality C-Band LNB. The preferred LNB for all C-Band applications. Description: Norsat 3525 C-Band PLL LNB. The 3000 Series is Norsat's premium quality C-Band LNB. The preferred LNB for all C-Band applications. Description: Norsat 3530 C-Band PLL LNB. The 3000 Series is Norsat's premium quality C-Band LNB. The preferred LNB for all C-Band applications. Description: Norsat 3820 C-Band PLL LNB. The 3000 Series is Norsat's premium quality C-Band LNB. The preferred LNB for all C-Band applications. Description: Norsat 3830 C-Band PLL LNB. The 3000 Series is Norsat's premium quality C-Band LNB. The preferred LNB for all C-Band applications. Description: Norsat 5100 C-Band PLL LNB. Ideal for DVB (Digital Video Broadcast), VSAT Broadband, Military Satcom, Point-of-Sale, and Oil and Gas applications. Description: Norsat 5100i C-Band PLL LNB. Ideal for DVB (Digital Video Broadcast), VSAT Broadband, Military Satcom, Point-of-Sale, and Oil and Gas applications. Description: Norsat 5150i C-Band PLL LNB. Ideal for DVB (Digital Video Broadcast), VSAT Broadband, Military Satcom, Point-of-Sale, and Oil and Gas applications. Description: Norsat 5150 C-Band PLL LNB. Ideal for DVB (Digital Video Broadcast), VSAT Broadband, Military Satcom, Point-of-Sale, and Oil and Gas applications. Description: Norsat 5250 C-Band PLL LNB. Ideal for DVB (Digital Video Broadcast), VSAT Broadband, Military Satcom, Point-of-Sale, and Oil and Gas applications. Description: Norsat 5250i C-Band PLL LNB. Ideal for DVB (Digital Video Broadcast), VSAT Broadband, Military Satcom, Point-of-Sale, and Oil and Gas applications. Description: Norsat 5500 C-Band PLL LNB. Ideal for DVB (Digital Video Broadcast), VSAT Broadband, Military Satcom, Point-of-Sale, and Oil and Gas applications. Description: Norsat 5500i C-Band PLL LNB. Ideal for DVB (Digital Video Broadcast), VSAT Broadband, Military Satcom, Point-of-Sale, and Oil and Gas applications. Description: Norsat 5700 C-Band PLL LNB. Ideal for DVB (Digital Video Broadcast), VSAT Broadband, Military Satcom, Point-of-Sale, and Oil and Gas applications. Description: Norsat 5700i C-Band PLL LNB. Ideal for DVB (Digital Video Broadcast), VSAT Broadband, Military Satcom, Point-of-Sale, and Oil and Gas applications. The benefit of using an external reference PLL LNB is that the indoor reference oscillator is easier to maintain at a stable constant temperature. Some LNBs operate at such high frequency that they can need phase look loop frequency control. An internal PLL uses a crystal oscillator in the LNB. An external reference PLL uses a 10 MHz reference supply from the customer's indoor modem or receiver. Description: Norsat 3020x-2 Phase Locked to External Reference C-Band PLL LNB. Ideal for DVB (Digital Video Broadcast), VSAT Broadband, Military Satcom, Point-of-Sale, and Oil and Gas applications. L.O. Stability: Phase Locked to External Reference. Description: Norsat 3025X Phase Locked to External Reference C-Band PLL LNB. Ideal for DVB (Digital Video Broadcast), VSAT Broadband, Military Satcom, Point-of-Sale, and Oil and Gas applications. 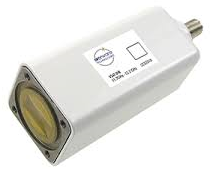 Description: Norsat 3030X Phase Locked to External Reference C-Band PLL LNB. Ideal for DVB (Digital Video Broadcast), VSAT Broadband, Military Satcom, Point-of-Sale, and Oil and Gas applications. L.O. Frequency (Local Oscillator Frequency) The frequency setting of the oscillator used in the LNB that is used as the bases for the down conversion to the L-Band output frequency. The Local oscillator frequency is added or subtracted from the input frequency to obtain the output frequency. Description: Norsat HS1046A Ku-Band (11.70-12.20 GHz) PLL LNB. - L.O. Stability: +/-4 kHz. - Noise Figure: 0.6 dB. - Output Connector: Type F Female - L.O. Frequency: 10.75 GHz. - Conversion Gain: 60 dB. 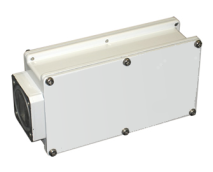 Description: The Norsat 1000H Series LNBs offer excellent PLL Stability and Phase Noise performance in a compact package. The 1000H Series LNB is designed to provide commercial quality for VSAT and select digital applications such as: Low data rate digital video. A reference LNB for Receiver test and service SCPC digital or analog audio. Low speed SCPC dta from 19.2 kbps - 512 Kbps or any higher data rate. Description: Norsat Low Noise Blocks (LNBs) provide signal reception for satellite communications around the world. The Norsat 1107HA offers premium performance and reliability in the smallest form factor possible. All Norsat standard Ku-Band LNBs are backed by a 3 year warranty and nearly forty years of experience as the industry’s leading provider of high performance LNBs. Description: The Norsat 1107HC Ku-Band PLL LNB offers excellent PLL Stability and Phase Noise performance in a compact package. The Norsat 1107HC Ku-Band PLL LNB is designed to provide commercial quality for VSAT and select digital applications such as: Low data rate digital video. A reference LNB for Receiver test and service. SCPC digital or analog audio. Low speed SCPC data from 19.2 kbps - 512 Kbps or any higher data rate. 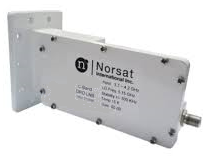 Description: Norsat Low Noise Blocks (LNBs) provide signal reception for satellite communications around the world. The Norsat 1107HEF offers premium performance and reliability in the smallest form factor possible. All Norsat standard Ku-Band LNBs are backed by a 3 year warranty and nearly forty years of experience as the industry’s leading provider of high performance LNBs. Description: Norsat Low Noise Blocks (LNBs) provide signal reception for satellite communications around the world. The Norsat 1108HA offers premium performance and reliability in the smallest form factor possible. All Norsat standard Ku-Band LNBs are backed by a 3 year warranty and nearly forty years of experience as the industry’s leading provider of high performance LNBs. 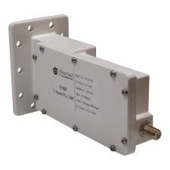 Description: 1108DH-1 Norsat 2 Simultaneous Ku-Bands - Low Band: 10.7 - 11.7 GHz and High Band: 11.7 - 12.75 GHz Series LNBs offer excellent PLL Stability and Phase Noise performance in a compact package. The 1000H Series LNB is designed to provide commercial quality for VSAT and select digital applications such as: Low data rate digital video. A reference LNB for Receiver test and service SCPC digital or analog audio. Low speed SCPC dta from 19.2 kbps - 512 Kbps or any higher data rate. Description: 1108DH-2 Norsat 2 Simultaneous Ku-Bands - Low Band: 10.95 - 11.7 GHz and High Band: 11.7 - 12.75 GHz Series LNBs offer excellent PLL Stability and Phase Noise performance in a compact package. The 1000H Series LNB is designed to provide commercial quality for VSAT and select digital applications such as: Low data rate digital video. A reference LNB for Receiver test and service SCPC digital or analog audio. Low speed SCPC dta from 19.2 kbps - 512 Kbps or any higher data rate. Description: 1108HUF-2 Quad-Band PLL LNB Series LNBs offer excellent PLL Stability and Phase Noise performance in a compact package. The 1000H Series LNB is designed to provide commercial quality for VSAT and select digital applications such as: Low data rate digital video. A reference LNB for Receiver test and service SCPC digital or analog audio. Low speed SCPC dta from 19.2 kbps - 512 Kbps or any higher data rate. The Norsat 1507HA is being replaced by the HS1057A Ku-Band PLL LNB. L.O. Stability: ± 50 kHz. Connector: Type F or N Female. Description: Norsat 15008LC Ku-Band (10.95-11.70 GHz) PLL LNB. - L.O. Stability: +/-50 kHz. - Noise Figure: 0.8 dB. - Output Connector: Type F Female - L.O. Frequency: 10.00 GHz. - Conversion Gain: 62 dB. The 15000L series is used in critical SCPC Data transmissions, large Earth Station Applications and where equipment manufacturers require PLL LNBs. Description: Norsat 15009LA Ku-Band (11.70-12.20 GHz) PLL LNB. The 15000L series is used in critical SCPC Data transmissions, large Earth Station Applications and where equipment manufacturers require PLL LNBs. Description: Norsat 15009LB Ku-Band (12.25-12.75 GHz) PLL LNB. The 15000L series is used in critical SCPC Data transmissions, large Earth Station Applications and where equipment manufacturers require PLL LNBs. The Norsat 1000XH Series Ku-Band Compact Ext Reference PLL LNB provides the best system BER performance and is used in applications requiring very fast data acquisition time or very low data rates. External Reference and Extended Phase locked Loop (PLL) Commercial LNB Available in custom configurations. Description: The Norsat 1000XH Series Ku-Band Compact Ext Reference PLL LNB provides the best system BER performance and is used in applications requiring very fast data acquisition time or very low data rates. The single reliable connector supplies the 10 MHz Compact External Reference the DC power from the receiver and the L-Band IF signal to the receiver. Compact External Reference LNBs require specifically designed receivers and are used in the following applications: Norsat 1007XHC Ku-Band (10.95-11.70 GHz) Compact External Reference PLL LNB. - L.O. Stability: Phase Locked to External Reference. - Noise Figure: 0.7 dB. - Output Connector: Type F Female - L.O. Frequency: 10.00 GHz. - Conversion Gain: 60 dB. Description: The single reliable connector supplies the 10 MHz Compact External Reference the DC power from the receiver and the L-Band IF signal to the receiver. Compact External Reference LNBs require specifically designed receivers and are used in the following applications: Norsat 1008XHB Ku-Band (12.25-12.75 GHz) Compact External Reference PLL LNB. - L.O. Stability: Phase Locked to External Reference. - Noise Figure: 0.8 dB. - Output Connector: Type F Female - L.O. Frequency: 11.30 GHz. - Conversion Gain: 60 dB.. Description: The single reliable connector supplies the 10 MHz Compact External Reference the DC power from the receiver and the L-Band IF signal to the receiver. Compact External Reference LNBs require specifically designed receivers and are used in the following applications: Norsat 1008XHC Ku-Band (10.95-11.70 GHz) Compact External Reference PLL LNB. - L.O. Stability: Phase Locked to External Reference. - Noise Figure: 0.8 dB. - Output Connector: Type F Female - L.O. Frequency: 10.00 GHz. - Conversion Gain: 60 dB. Description: The Norsat 1008XB Ku-Band (12.25-12.75 GHz) External Reference PLL LNB. - L.O. Stability: Phase Locked to External Reference. - Noise Figure: 0.8 dB. - Output Connector: Type F Female - L.O. Frequency: 11.30 GHz. - Conversion Gain: 55 dB. The 1008XB has been replaced by the Norsat 1008XHB Compact. Description: The Norsat 1008XC Ku-Band External Reference PLL LNB. The Norsat 1000X Series Ku-Band External Reference PLL LNB provides the best system BER performance and is used in applications requiring very fast data acquisition time or very low data rates. Description: The Norsat 1008XD Ku-Band External Reference PLL LNB. The Norsat 1000X Series Ku-Band External Reference PLL LNB provides the best system BER performance and is used in applications requiring very fast data acquisition time or very low data rates. Description: The Norsat 1009XA Ku-Band (11.70-12.20 GHz) External Reference PLL LNB. - L.O. Stability: Phase Locked to External Reference. - Noise Figure: 0.9 dB. - Output Connector: Type F Female - L.O. Frequency: 10.75 GHz. - Conversion Gain: 55 dB. The 1009XA has been replaced by the Norsat 1009XHA Compact External Reference LNB. Description: Norsat 1009XHB Ku-Band (12.25-12.75 GHz) Compact External Reference PLL LNB. The Norsat 1000XH Series Ku-Band Compact Ext Reference PLL LNB provides the best system BER performance and is used in applications requiring very fast data acquisition time or very low data rates. The single reliable connector supplies the 10 MHz Compact External Reference the DC power from the receiver and the L-Band IF signal to the receiver. Compact External Reference LNBs require specifically designed receivers and are used in the following applications: SCPC digital or analog voice channels. Low speed SCPC data from 10 Kbps to 512 Kbps or any higher data rate. Not commonly used for video. The 1009XBN has been replaced by the Norsat 1009XHBN Compact External Reference LNB. Description: Norsat 1009XHC Ku-Band (10.95-11.70 GHz) Compact External Reference PLL LNB. The Norsat 1000XH Series Ku-Band Compact Ext Reference PLL LNB provides the best system BER performance and is used in applications requiring very fast data acquisition time or very low data rates. 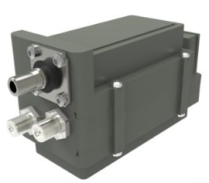 The single reliable connector supplies the 10 MHz Compact External Reference the DC power from the receiver and the L-Band IF signal to the receiver. Compact External Reference LNBs require specifically designed receivers and are used in the following applications: SCPC digital or analog voice channels. Low speed SCPC data from 10 Kbps to 512 Kbps or any higher data rate. Not commonly used for video. The 1009XC has been replaced by the Norsat 1009XHC Compact External Reference LNB. Description: Norsat 1010XHB Ku-Band (10.95-11.70 GHz) Compact External Reference PLL LNB. The Norsat 1000XH Series Ku-Band Compact Ext Reference PLL LNB provides the best system BER performance and is used in applications requiring very fast data acquisition time or very low data rates. 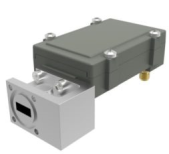 The single reliable connector supplies the 10 MHz Compact External Reference the DC power from the receiver and the L-Band IF signal to the receiver. Compact External Reference LNBs require specifically designed receivers and are used in the following applications: SCPC digital or analog voice channels. Low speed SCPC data from 10 Kbps to 512 Kbps or any higher data rate. Not commonly used for video. The Ka band ("kay-ay band") covers the radio frequencies of 26.5–40 GHz, i.e. wavelengths from slightly over one centimeter down to 7.5 millimeters. The Ka band is part of the K band of the microwave band of the electromagnetic spectrum. This symbol refers to "K-above": in other words, the band directly above the K-band. The 30/20 GHz band is used in communications satellites, uplink in either the 27.5 GHz and 31 GHz bands, and high-resolution, close-range targeting radars aboard military airplanes. Description: A Norsat 9000HA-2 Ka-Band Waveguide: WR-42 (18.20 - 19.20 GHz) PLL LNB Norsat LNBs are graded by Stability and Noise Figure to provide the perfect balance between performance and cost. Description: A Norsat LNBs are graded by Stability and Noise Figure to provide the perfect balance between performance and cost. Description: Norsat 9000HC-2 Ka-Band Waveguide: WR42 (20.20 to 21.20 GHz) PLL Ka-Band LNB. A Norsat LNBs are graded by Stability and Noise Figure to provide the perfect balance between performance and cost. Description: A Norsat 9000XBN-4 Ka-Band (19.2 - 20.2 GHz) External Reference LNB. The Norsat LNBs are graded by Stability and Noise Figure to provide the perfect balance between performance and cost. Description: A Norsat 9000XCN-4 Ka-Band ( 20.2 - 21.2 GHz) External Reference LNB Norsat 9000XBN-4 Ka-Band (19.2 - 20.2 GHz) External Reference LNB. The Norsat LNBs are graded by Stability and Noise Figure to provide the perfect balance between performance and cost. Description: The Norsat 9000HX-O3B-AN Ka-Band DUO LNB. Norsat LNBs are graded by Stability and Noise Figure to provide the perfect balance between performance and cost. Noise Figure: 1.5 dB max. Description: The Norsat 9000HX-O3B-BN Ka-Band DUO LNB. Norsat LNBs are graded by Stability and Noise Figure to provide the perfect balance between performance and cost. Description: The Norsat 9000HX-O3B-ABS Ka- Selectable Band LNB. Norsat’s Low Noise Blocks (LNBs) provide signal reception for satellite communications around the world. We offer premium performance and reliability in the smallest form factor possible. All of our standard Ku LNBs are backed by a 3 year warranty and nearly forty years of experience as the industry’s leading provider of high performance LNBs. Noise Figure: 1.6 dB max. Description: The Norsat 9200HT-3 Ka- Selectable Band LNB. Norsat’s Low Noise Blocks (LNBs) provide signal reception for satellite communications around the world. We offer premium performance and reliability in the smallest form factor possible. All of our standard Ku LNBs are backed by a 3 year warranty and nearly forty years of experience as the industry’s leading provider of high performance LNBs. The X band is a segment of the microwave radio region of the electromagnetic spectrum. In some cases, such as in communication engineering, the frequency range of the X band is rather indefinitely set at approximately 7.0 to 11.2 GHz. In radar engineering, the frequency range is specified by the IEEE at 8.0 to 12.0 GHz. Description: A Norsat X-Band LNB graded by Stability and Noise Figure to provide the perfect balance between performance and cost. Description: X-Band XT1000 External Reference Norsat LNB are graded by Stability and Noise Figure to provide the perfect balance between performance and cost. Professional LNBs, LNAs, BDCs, TLTs and RF over Fiber products for demanding applications in VSAT. Typical applications and solutions include VSAT, SNG, Cable-TV head ends, Marine VSAT, HTS, SOTM, Teleports, Earth Observation / Remote Sensing and more. 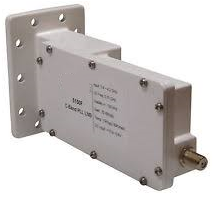 Our C-Bands LNBs have integrated filters to minimize unwanted signals such as WiMAX and 5G. Available as single band or 2-band switchable, full C-band covering LNBs and BDCs. 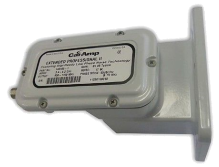 Description: C-Band PLL LNB has a unique design with integrated filters to isolate interfering signals (WiMAX etc.). The LNB comes either with internal high LO stability or external 10 MHz reference and has Low Phase Noise to meet DVB-S2X Professional services. 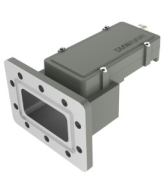 Description: The C-Band PLL block down converter is intended for receiving C-Band transmissions within the frequency range 3.4 to 4.8 GHz. Fixed gain configurable between 0 dB and 50 dB (factory set). It’s normally used together with an external C-band low noise amplifier.RF input is SMA female. IF output is standard L-band inverted spectrum via N-, F- or SMA- connector. Options include customized LO, customized gain, separate DC power input and separate input for the external 10 MHz reference.. Description: The C-Band PLL block down converter is intended for receiving C-Band transmissions within the frequency range 3.4 to 4.8 GHz. Fixed gain configurable between 0 dB and 50 dB (factory set). It’s normally used together with an external C-band low noise amplifier. RF input is SMA female. IF output is standard L-band inverted spectrum via N-, F- or SMA- connector. Options include customized LO, customized gain, separate DC power input and separate input for the external 10 MHz reference. The SMW Ku-band line includes our revolutionary WDL and Multi-band designs. WDL products provides full simultaneous Ku-band coverage and was recently extended with single, Wideband IF output as well as Fiber Optic output. Multiband switchable products mean SOTM and VSAT no longer reguires changing LNB when entering a new geografical area. Simply change the DC voltage and/or use 22 kHz tone to switch LO for absolute versatility. Description: The SMW ku LNB is available with either internal high LO stability or external 10 MHz reference. The professional PLL has a new design with low phase noise, high IP3 and low noise figure. Options include customized LO, customized gain, separate DC power input and separate input for the external 10 MHz reference.. Description: The Ku-band BDC bock down converter has a selection of several frequency bands. The Multi-band BDC can be remotely switched across 2-4 bands by voltage and/or 22 kHz tone control. The BDC is ideal for installation in various professional applications with low symbolrate carriers. Available with external 10 MHz reference or internal (±5 kHz / ±10 kHz / ±25 kHz). Options include customized LO, customized gain, separate DC power input and separate input for the external 10 MHz reference. (±5 kHz / ±10 kHz / ±25 kHz). Description: The Quattro PLL LNB consists of two Dual PLL LNB’s mounted on an orthomode transducer (OMT) protected under a plastic cover. The LNB supports reception of full Ku-band frequency range simultaneously on low and high band outputs and both polarizations. The Quattro PLL LNB is ideal for installation in various professional applications with low symbolrate carriers. Available with external 10 MHz reference or internal (±5 kHz / ±10 kHz). Professional Dual Fiber Output Ku-band PLL LNB. Up to 40 km single mode fiber cable distance. Description: The Ka-band Fiber PLL LNB is a Quad Ku PLL LNB. The Highest RF and optical performance Single frequency conversion and directly modulated DFB lasers results in best possible performance. Up to 20 km standard 1310 nm ( optional up to 40 km with 1550 nm) single mode fi ber cable distance, depending on link budget. Perfect for applications where professional fi ber distribution from an antenna is needed but space and/or budget is limited. • Small size and low power consumption. RF monitor and DC supply via SMA connectors. to a RF output LNB. Description: The Ka-Band BDC single BDC that covers the wide frequency range 17.3-22.2 GHz with several sub bands and LO frequencies. The BDC has a Low Phase Noise which is compliant to DVB-S2X Professional services. The BDC has a compact size and light weight. 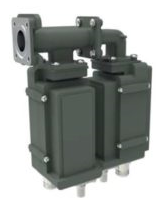 It is designed for reliable operation over a high temperature range for installation in various outdoor environments or build-in applications. Options include customized LO, customized gain, separate DC power input and separate input for the external 10 MHz reference.. 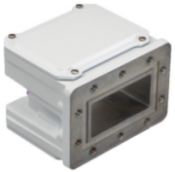 Description: The SMW Waveguide Ka-Band LNA covers 17.30-22.30 GHz and has two SMA-connector outputs. Separate DC SMA connector. Low input VSWR with standard Waveguide isolator. All LNA (Low Noise Amplifier) units are individually hand tuned for the very best performance available. Quality and long term reliability is also essential. Therefore are all LNA’s tested according to a very extensive test program. Description: The Ka-band Fiber PLL LNB is a single-band LNB covering the wide frequency range 17.3-22.2 GHz with several sub bands and LO frequencies. Up to 20 km standard 1310 nm( optional up to 40 km with 1550 nm) single mode fiber cable distance, depending on link budget with very high C/N maintained Options include customized LO, customized gain, separate DC power input and separate input for the external 10 MHz reference. X-Band products for Professional satellite communications. State of the art X-band offering includes LNB and BDC models in compact housings for both normal receive frequencies and transmit monitoring. The products cover 7.25-8,40 GHz. All our units are individually hand tuned for the very best performance available. Outstanding performance includes very low phase noise and very high stability over temperature and time. Special models for Earth Observation are available. Other frequency bands-Wikipedia Approximately 7.0 to 11.2 GHz. In radar engineering. Description: The professional X-Band PLL LNB is optimized for Earth Observation and remote sensing technical requirements. It reduces cost and complexity greatly compared to a traditional LNA + Rack BDC system and it’s ideal for smallsats or any LEO, MEO and GEO X-Band applications. The LNB has the IF output centered at 720 MHz or 1200 MHz which is Industry standard. Available either with internal high LO stability or with external 10 MHz reference. DVB-S2X Professional services. The LNB features VERY LOW input VSWR to avoid the need of an external isolator. The LNB has built-in filtering for improved TX margin, High IP3 and Low power consumption. The compact size and light weight allows installation in various professional applications. Available either with internal high LO stability or with external 10 MHz reference. 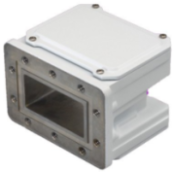 Description: The X-Band PLL block down converter covers X-band within the frequency range 7.25 to 7.75 GHz. Fixed gain between 0 dB and 55 dB. The BDC has some built in filtering for improved TX and IF margin, high IP3 and Low power consumption. RF input is SMA female. IF output is standard L-band non inverted spectrum via N-,F- or SMA-connector. Options include customized LO, customized gain, separate DC power input and separate input for the external 10 MHz reference. Description: The professional X-Band PLL fiber LNB gives improvement when distance between LNB and receiver becomes too long for traditional coaxial cable or when the requirements for kept high C/N is an important. The Satcom LNB 6.30, has some built-in filtering for improved TX margin, High IP3 (with our fiber receiver) and Low power consumption. The compact size and light weight allows installation in various professional applications. Available either with internal high LO stability or with external 10 MHz reference. WR-75 Flange / wave guide "F" type "N" Type C-120, WR-42, WR-62, WR-75, WR-112 Standard Ku LNB LNBF Liner Polarity Ku-Band 11.7 -12.2 GHz Output = 950-1450 MHz Universal Ku LNB = Liner Polarity Ku-Band Low = 9.75 GHz / norm= 10.7 - 11.70 GHz High = 10.6 / norm = 11.7 - 12.75 GHz 10.7 - 12.75 GHz. Output = 950-1950 MHz 1100-2150 MHz Ku-Band Variants and other LNBs / LNBFs ODDBALL wideband output ranges. Output = 950 - 1700 MHz & Misc. BROADBAND. Description: The LNB Series Low Noise Block Down Converter Systems provide the ultimate system reliability by providing complete back up operation. The LNB series redundant system utilizes the RCP2-1100 redundant controller to provide fault detection and switchover in the event of a Low Noise Block Down Converter failure. Description: The LNB Series Low Noise Block Down Converter Systems provide the ultimate system reliability by providing complete back up operation. 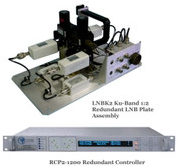 The LNB series redundant system utilizes the RCP2-1200 redundant controller to provide fault detection and switchover in the event of a Low Noise Block Down Converter failure. The abbreviation LNB stands for Low Noise Block. It is the device on the front of a satellite dish that receives the very low level microwave signal from the satellite, amplifies it, changes the signals to a lower frequency band and sends them down the cable to the indoor receiver. Description: The New Japan Radio NJS8486H C-Band (3.4 - 4.2 GHz) PLL LNB. Local Stability: ±51.5 kHz. 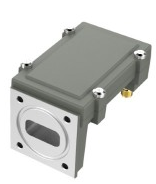 Noise Temperature: 15° K. typical 30° max, IF Frequency: 950 to 1750 MHz, Output Connector: Type F female. L.O. Frequency: 5.15 GHz. Linear Gain: 59 dB min. IF Frequency: 3.40 to 4.20 GHz. Output Connector: Type F or N female. Description: NJRC NJS8486S Palapa C-Band (3.4-4.2 GHz) PLL LNB The New Japan Radio NJS8486H C-Band (3.4 - 4.2 GHz) PLL LNB. Local Stability: ±51.5 kHz. Noise Temperature: 15° K. typical 30° max, IF Frequency: 950 to 1750 MHz, Output Connector: Type F female. L.O. Frequency: 5.15 GHz. Linear Gain: 59 dB min. Noise Temperature: 15° K typical 30° max. Linear Gain: 59 dB min. Input Frequency: 3.625 to 4.20 GHz. Output Connector: Type N female. External reference: The signal that is supplied to an LNB via the center conductor of the IF cable. The reference frequency is normally 10 MHz and is used to accurately phase lock the conversion oscillator in the LNB to the wanted frequency. Description: NJRC NJS8487E C-Band External Reference PLL LNB New Japan Radio has been the premier manufacturer of quality LNBs for years. The NJS8487EN PLL LNB is External Reference C-Band PLL LNB in 3.625 to 4.20 GHz / C-Band. The expression low noise refers the the quality of the first stage input amplifier transistor. The quality is measured in units called Noise Temperature, Noise Figure or Noise Factor. Both Noise Figure and Noise Factor may be converted into Noise Temperature. The lower the Noise Temperature the better. So an LNB with Noise Temperature = 100K is twice as good as one with 200K. C band LNBs tend have the lowest noise temperature performance while Ka LNBs have the highest (worst). Description: NJRC NJR2835H Ku-Band PLL LNB NJRC New Japan Radio has been the premier manufacturer of quality LNBs for years. Description: NJRC NJR2835SN Ku-Band PLL LNB 11.7 - 12.2 GHz, Int Ref +/- 3 ppm Type-N Out. These low-cost, high-quality PLL LNBs from New Japan Radio have set the standard in the industry for years. NJRC NJR2835SN Ku-Band PLL LNB New Japan Radio has been the premier manufacturer of quality LNBs for years. Description: New Japan Radio NJR2835U Ku-Band (11.70-12.20 GHz) PLL LNB. Local Stability: +/- 10.75 kHz (Ta. :-40 to +60C) Noise Figure: 0.8 dB. Output Connector: Type F Female. LO Frequency: 10.75 GHz. Conversion Gain: 60 dB. NJRC NJR2835U Ku-Band PLL LNB Ku-Band PLL LNB NJRC New Japan Radio has been the premier manufacturer of quality LNBs for years. Description: NJRC NJR2836H Ku-Band PLL LNB NJRC New Japan Radio has been the premier manufacturer of quality LNBs for years. These low-cost, high-quality PLL LNBs from New Japan Radio have set the standard in the industry for years. Description: New Japan Radio NJRC NJR2836SN Ku-Band PLL LNB New Japan Radio has been the premier manufacturer of quality LNBs for years. These low-cost, high-quality PLL LNBs from New Japan Radio have set the standard in the industry for years. Description: New Japan Radio NJRC NJR2836U Ku-Band PLL LNB New Japan Radio has been the premier manufacturer of quality LNBs for years. Description: NJRC NJR2837H Ku-Band PLL LNB NJRC New Japan Radio has been the premier manufacturer of quality LNBs for years. These low-cost, high-quality PLL LNBs from New Japan Radio have set the standard in the industry for years. Description: New Japan Radio NJRC NJR2837S Ku-Band PLL LNB New Japan Radio has been the premier manufacturer of quality LNBs for years. These low-cost, high-quality PLL LNBs from New Japan Radio have set the standard in the industry for years. L.O. Stability: ± 30 kHz. Description: New Japan Radio NJRC NJR2837U Ku-Band PLL LNB New Japan Radio has been the premier manufacturer of quality LNBs for years. Description: NJRC NJR2839H Ku-Band PLL LNB NJRC New Japan Radio has been the premier manufacturer of quality LNBs for years. These low-cost, high-quality PLL LNBs from New Japan Radio have set the standard in the industry for years. Description: New Japan Radio NJRC NJR2839S Ku-Band PLL LNB New Japan Radio has been the premier manufacturer of quality LNBs for years. These low-cost, high-quality PLL LNBs from New Japan Radio have set the standard in the industry for years. Description: New Japan Radio NJRC NJR2839U Ku-Band PLL LNB New Japan Radio has been the premier manufacturer of quality LNBs for years. Description: New Japan Radio NJRC NJR2841S Switchable Local Ku-Band PLL LNB New Japan Radio has been the premier manufacturer of quality LNBs for years. These low-cost, high-quality PLL LNBs from New Japan Radio have set the standard in the industry for years. Description: Input Frequencies: 10.70 - 11.70 GHz / 11.70 - 12.75 GHz New Japan Radio NJRC NJR2841H Ku-Band PLL LNB New Japan Radio has been the premier manufacturer of quality LNBs for years. Description: Full Ku-Band Coverage New Japan Radio NJRC NJR2841L Ku-Band PLL LNB New Japan Radio has been the premier manufacturer of quality LNBs for years. Description: Universal Ku Coverage New Japan Radio NJRC NJR28412A3 Ku-Band PLL LNB New Japan Radio has been the premier manufacturer of quality LNBs for years. Description: New Japan Radio NJRC NJR2843H Ku-Band PLL LNB New Japan Radio has been the premier manufacturer of quality LNBs for years. Description: Externally Referenced Switchable New Japan Radio NJRC NJR2843EN Ku-Band PLL LNB New Japan Radio has been the premier manufacturer of quality LNBs for years. Description: Externally Referenced New Japan Radio NJRC NJR2934E Ku-Band PLL LNB New Japan Radio has been the premier manufacturer of quality LNBs for years. Description: Externally Referenced New Japan Radio NJRC NJR2935E Ku-Band PLL LNB New Japan Radio has been the premier manufacturer of quality LNBs for years. Description: Externally Referenced New Japan Radio NJRC NJR2936E Ku-Band PLL LNB New Japan Radio has been the premier manufacturer of quality LNBs for years. Description: Externally Referenced New Japan Radio NJRC NJR2937E Ku-Band PLL LNB New Japan Radio has been the premier manufacturer of quality LNBs for years. Description: Externally Referenced New Japan Radio NJRC NJR2939E Ku-Band PLL LNB New Japan Radio has been the premier manufacturer of quality LNBs for years. VSWR: (Voltage Standing Wave Ratio) Can best be described as waves coming into the L.O. Frequency shore from the ocean. Desirable VSWR waves come in smoothly and the energy used in the LNB that is used as the bases for the down conversion to the L-Band is dissipated into the sand. This desirable VSWR is called “primary incident” and results in a low VSWR. L.O. Stability: (Local Oscillator Frequency Stability) The variance in the frequency of the Local oscillator with time, temperature, voltage, humidity or vibration. Evolution Platform - iDirect’s Evolution LNBs support DVB-S2 with Adaptive Coding and Modulation (ACM), a bandwidth-efficient technology for networks with larger outbound capacity requirements. The iDirect portfolio of advanced BUCs and LNBs is specifically tailored around the capabilities of iNFINITI® and Evolution® satellite routers, creating synergies that deliver increased flexibility, efficiency, and convenience through genuine innovations in ODU design and manufacturing. Description: iDirect’s DiSEqC 22 kHz Universal Ku-band PLL LNBs are highly stable low-noise block converters with superior phase noise performance. Compatible for use with the Evolution platform. Description: The Manual Switch Universal Ku-band PLL LNB is a premium quality low-noise block converter. The iDirect portfolio of advanced BUCs and LNBs is specifically tailored around the capabilities of iNFINITI and Evolution satellite routers, creating synergies that deliver increased flexibility, efficiency, and convenience through genuine innovations in ODU design and manufacturing. At CalAmp, we understand your performance demands for high stability and phase locked LNBs can be extreme, so we make sure our testing procedures are even more so. Our complete line of C & Ku Band high stability and PLL LNBs are available in a variety of frequency ranges and LO stability options. Description: LNB, C BAND PLL +/- 20 KHZ, 20 deg. 3.4 - 4.2GHz We understand your performance demands for high stability and phase locked LNBs can be extreme, so we make sure our testing procedures are even more so. Our complete line of C & Ku Band high stability and PLL LNBs are available in a variety of frequency ranges and LO stability options. Description: Extended C-Band Phase Locked Loop (PLL) LNB commercial LNBs, PLL Low Noise Amplifiers, Block Up and Down-converters, Redundant Switchover Units, Optic Links, RF Modules, HPAs, Quad an Dual Converters and more available. Description: Low Noise Amplifiers, Block Up and Down-converters, Redundant Switchover Units, Optic Links, RF Modules, HPAs, Quad an Dual Converters and more available. For more out of your LNB consider a commercial grade LNB or a PLL Phase Locked Loop LNB. The demands for digital TV are here and we have a complete line of high end LNBs. Constructed using the finest components and latest technology these units are built with 100% regard to phase noise, and local oscillator stability options.